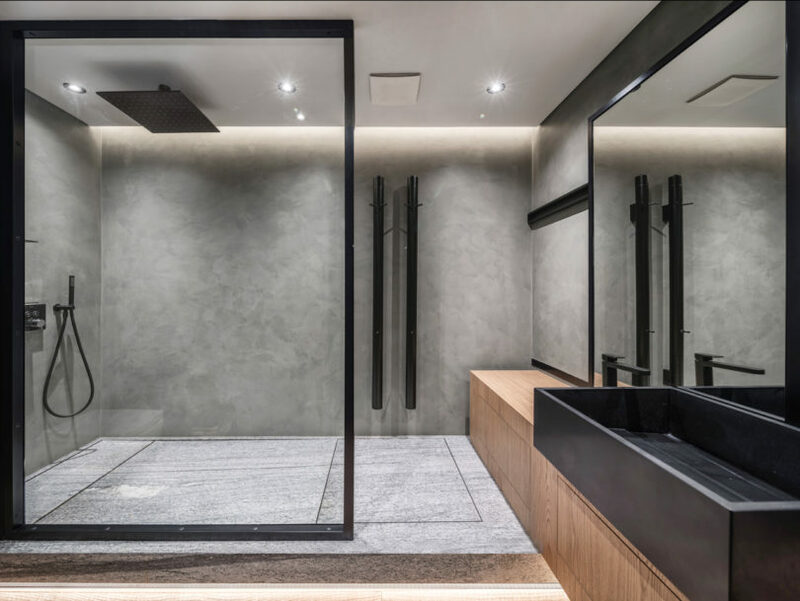 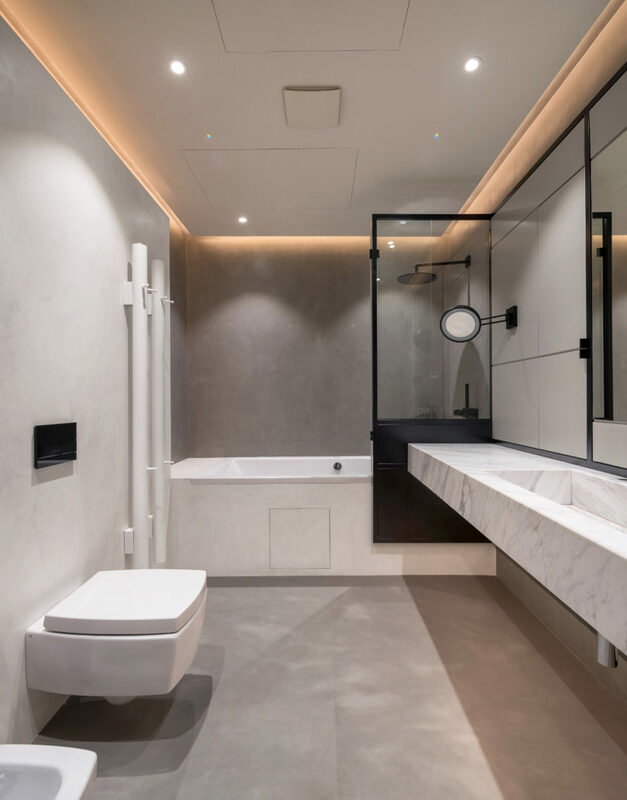 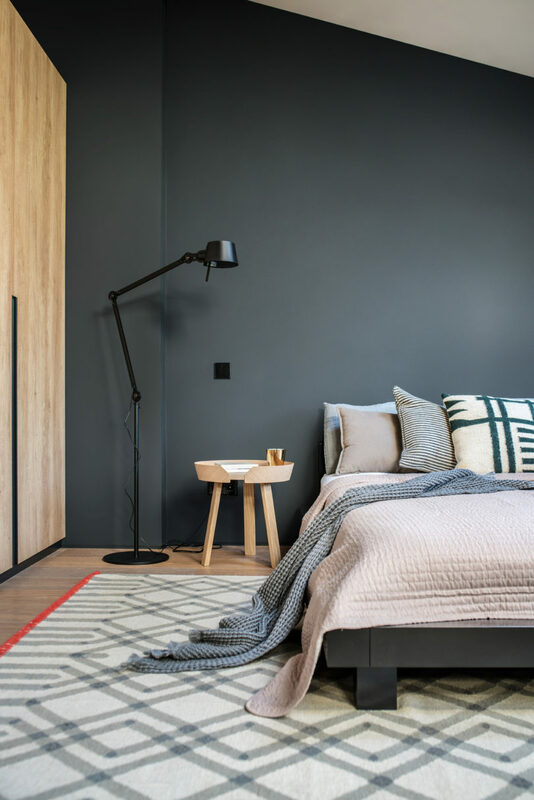 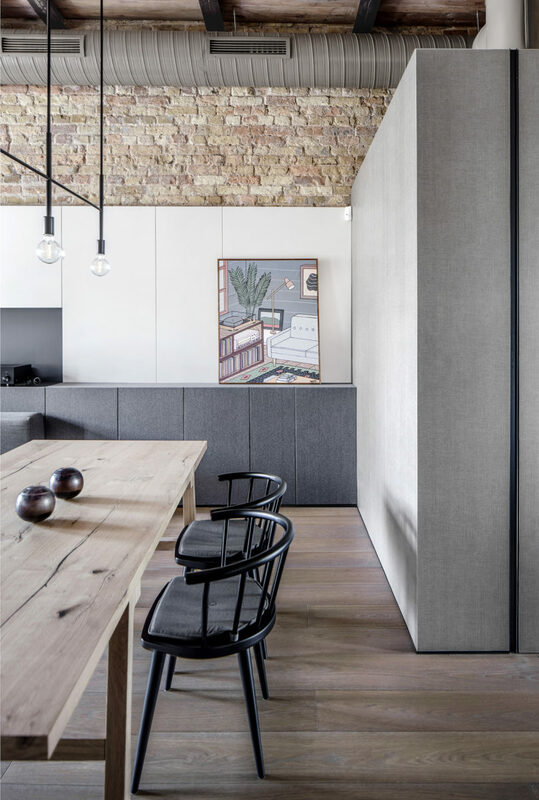 Tasked with designing a sophisticated apartment for a single professional, 2B.group did just that while also preserving and restoring original details. 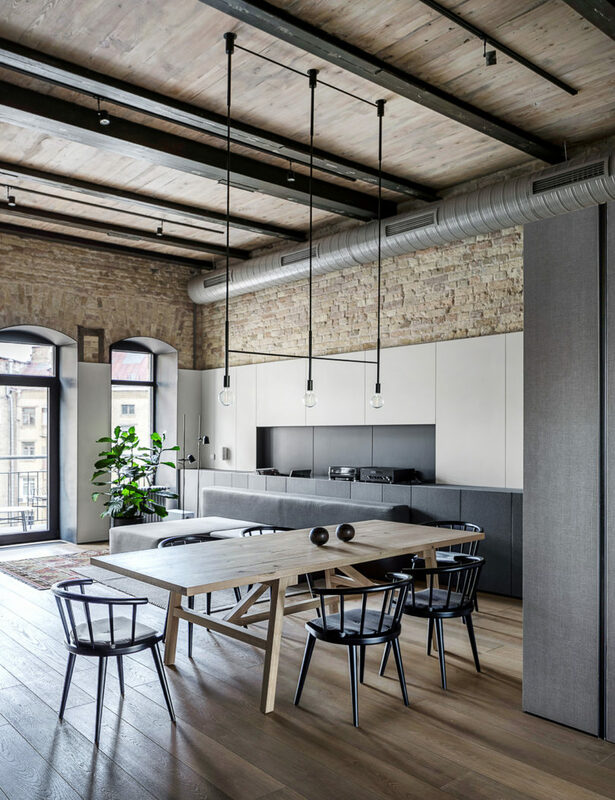 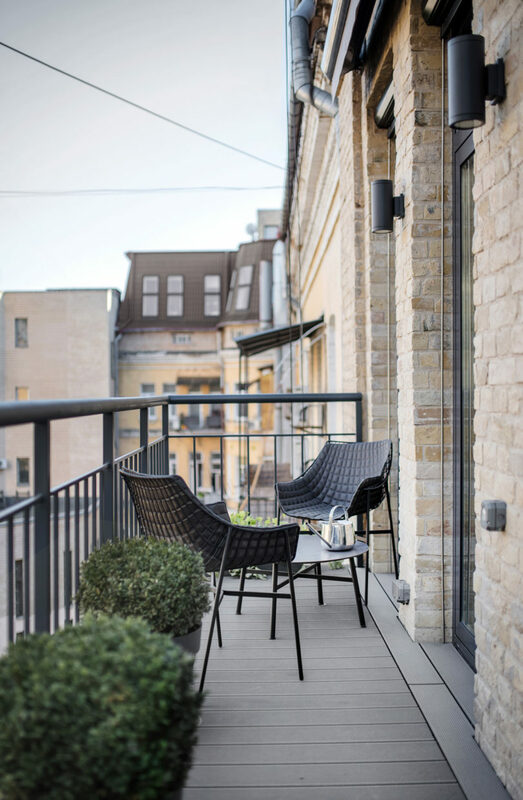 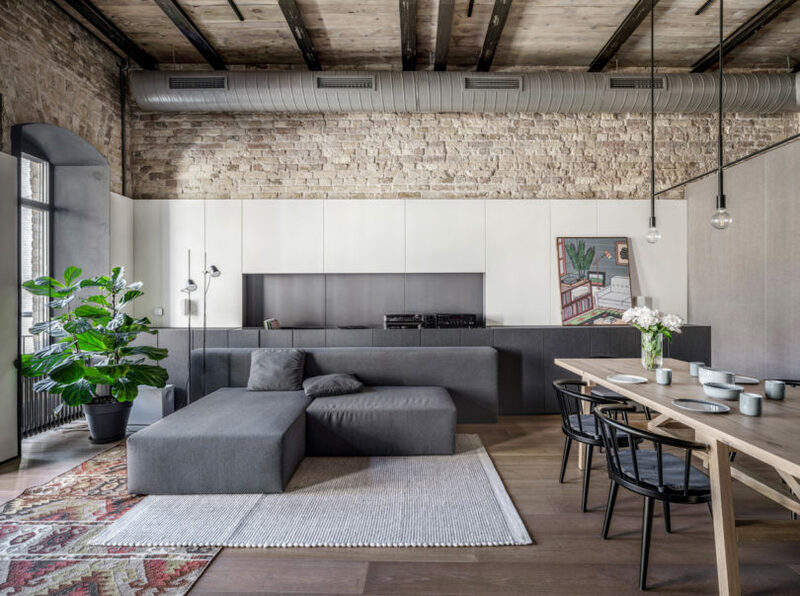 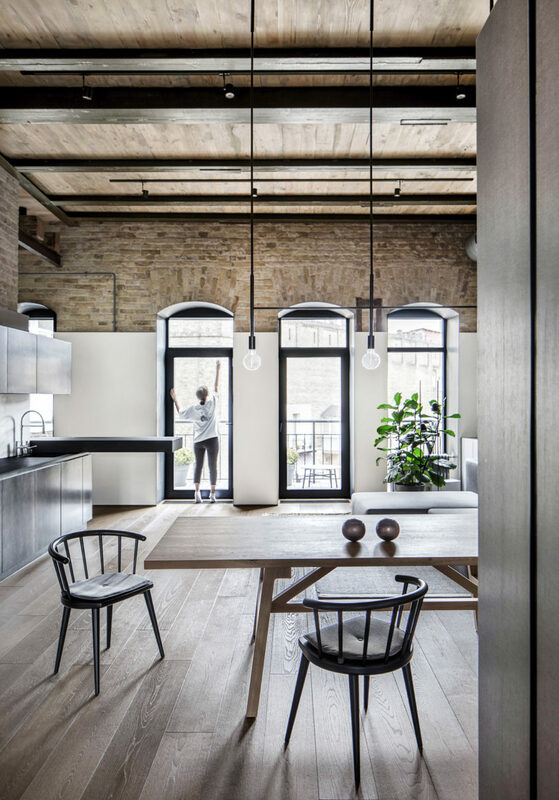 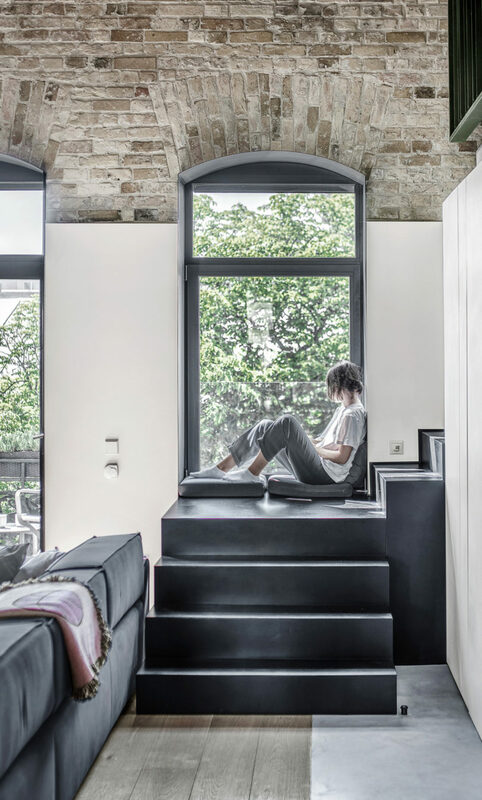 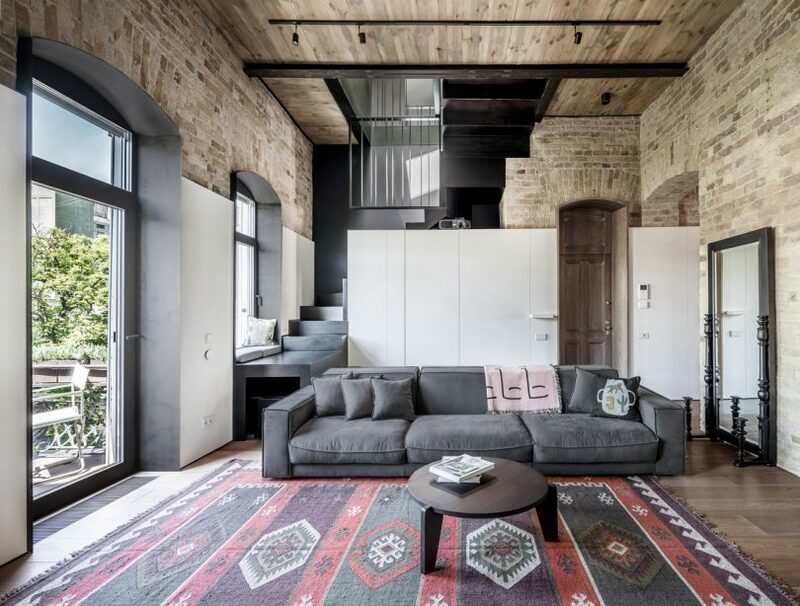 The PUSHKA apartment is located in a historic building in Kiev, Ukraine, and spans 180-square meters over two floors. 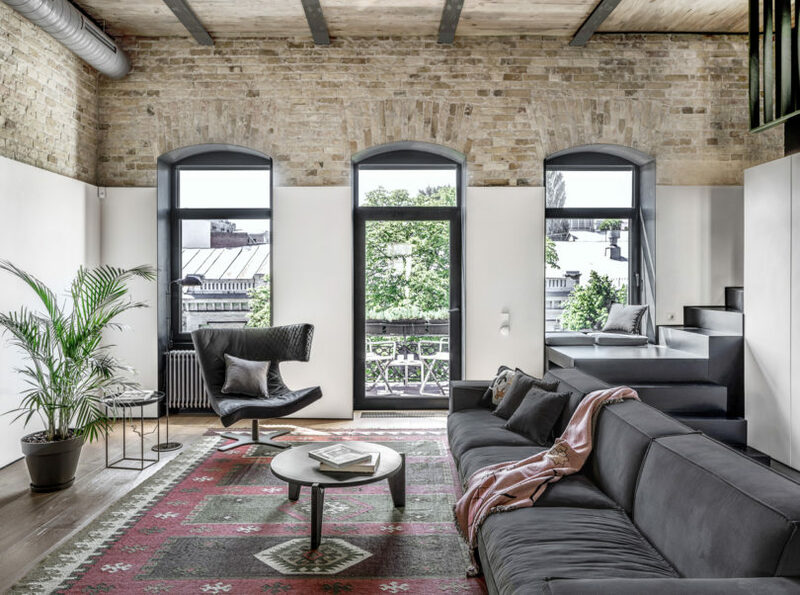 The architects incorporated modern elements that perfectly balance the historic features, like original brickwork, wood ceiling joists, and sloped walls in the attic. 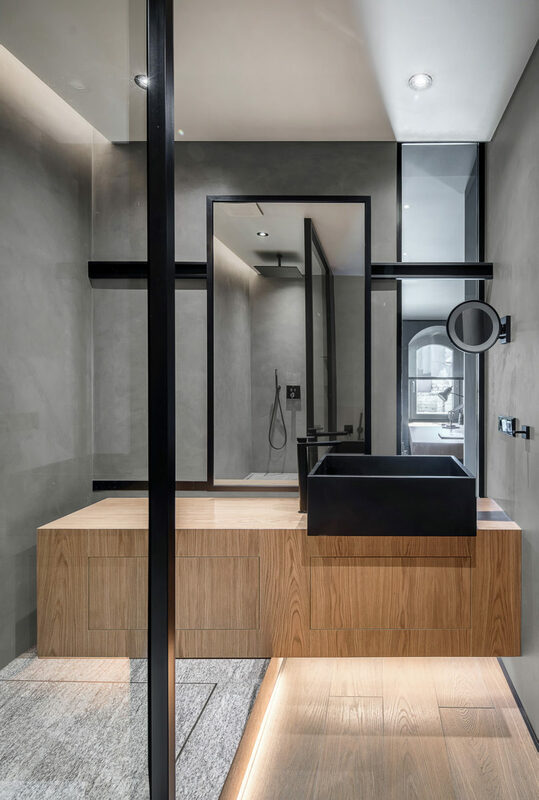 A monochromatic color palette was chosen as it worked well with the architectural details throughout. 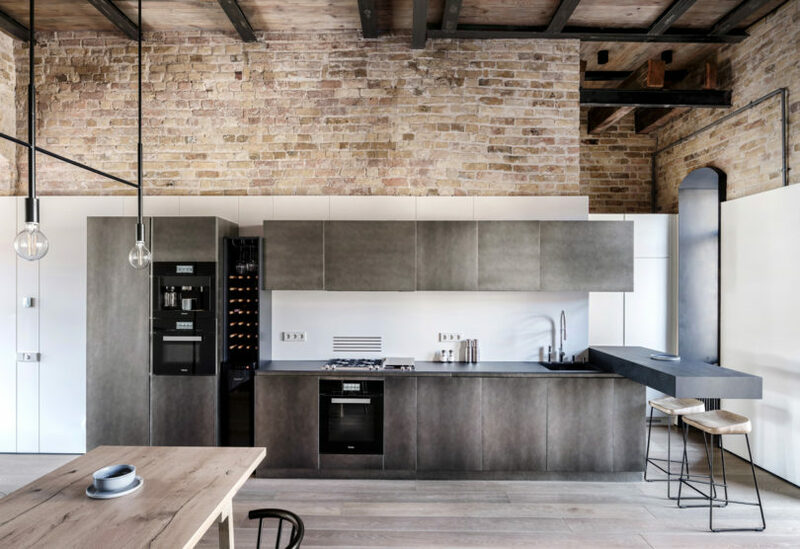 The brickwork was painstakingly restored and it offers a warm and textured backdrop to the main level living space. 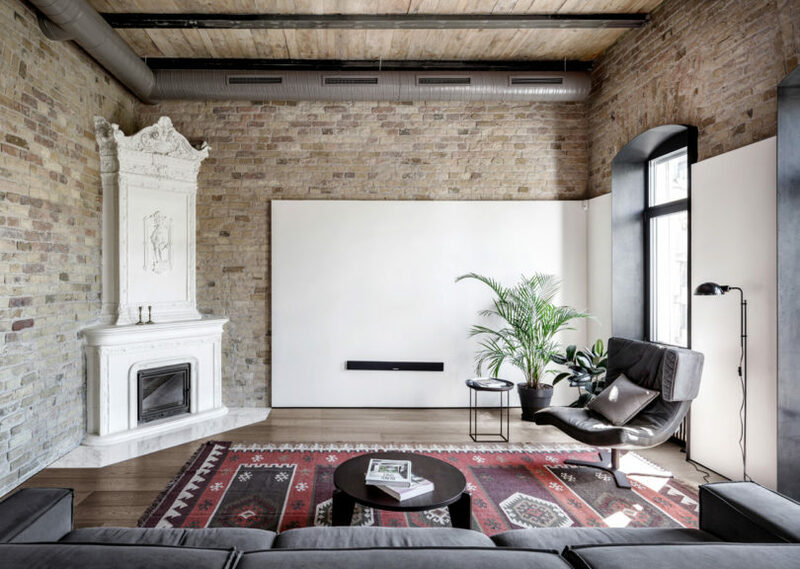 The corner fireplace was given new life as the focal point of the sitting room. 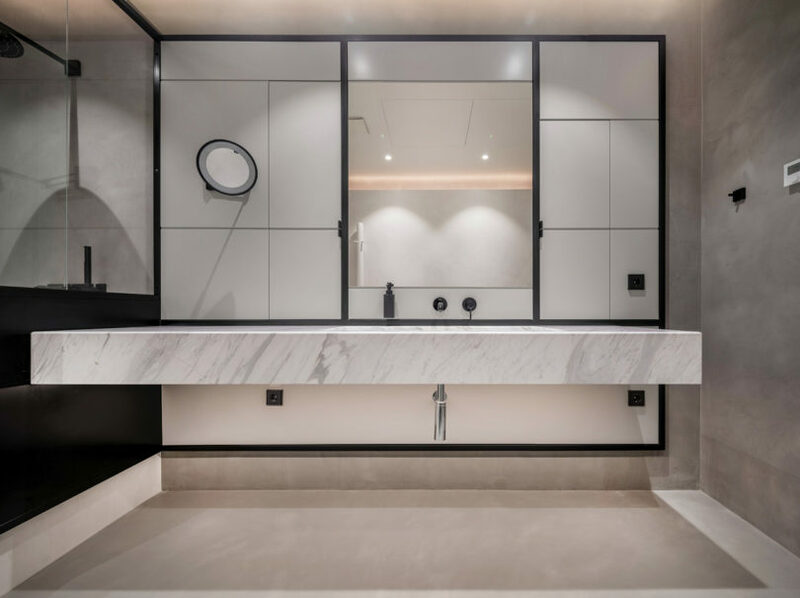 White panels help brighten the interior while creating a feeling of continuity on the first floor. 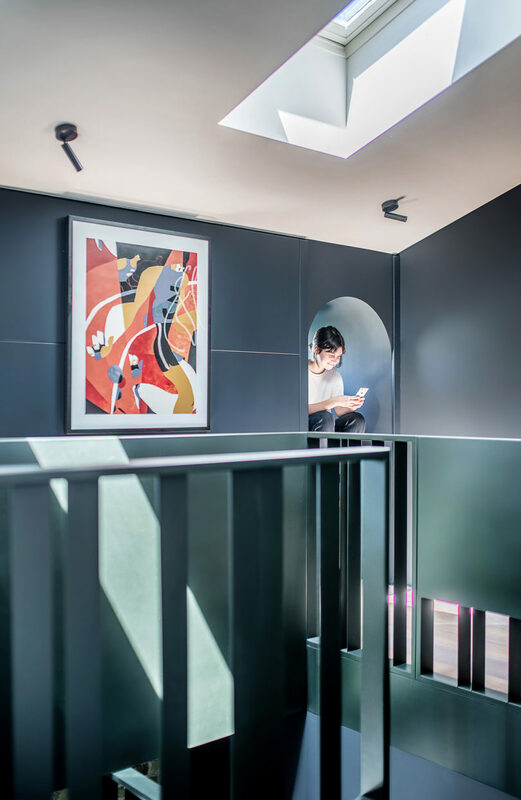 A hand-assembled metal staircase connects the ground floor with the attic space. 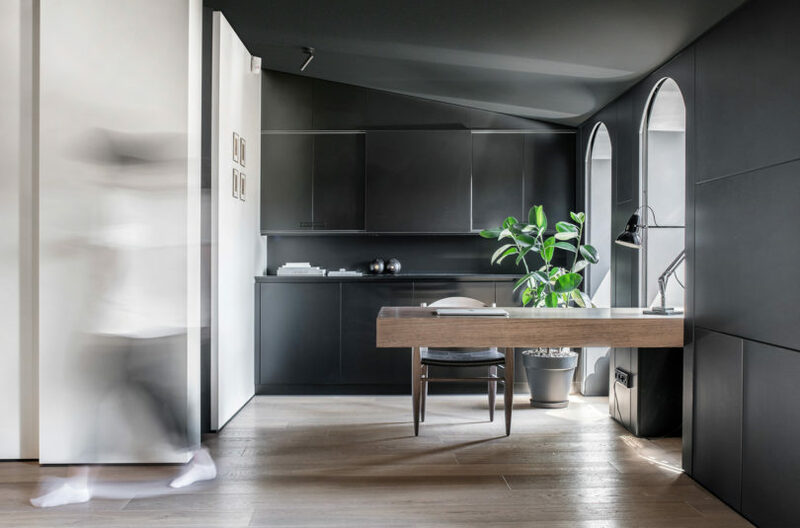 Upstairs, the layout is divided into three areas – a master bedroom and bathroom, an office and walk-in closet; a guest bedroom and bath; and finally a laundry room. 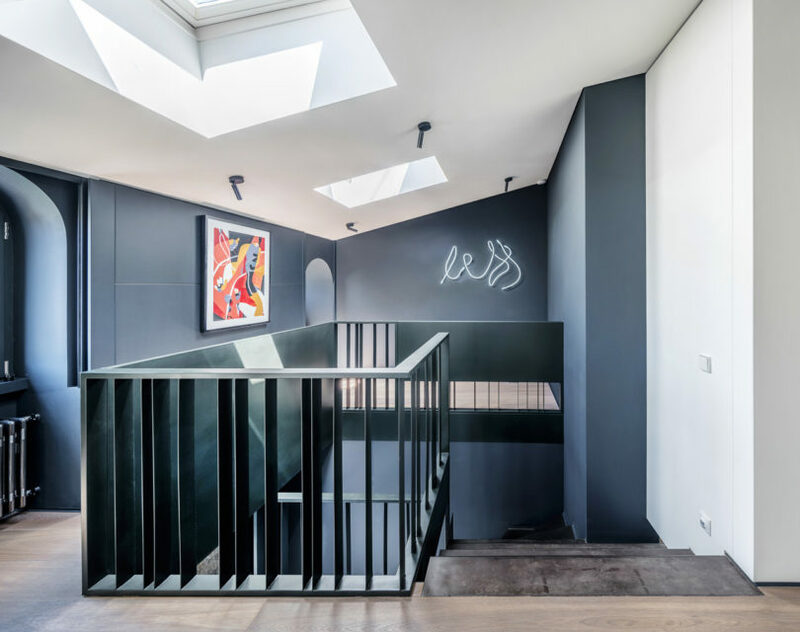 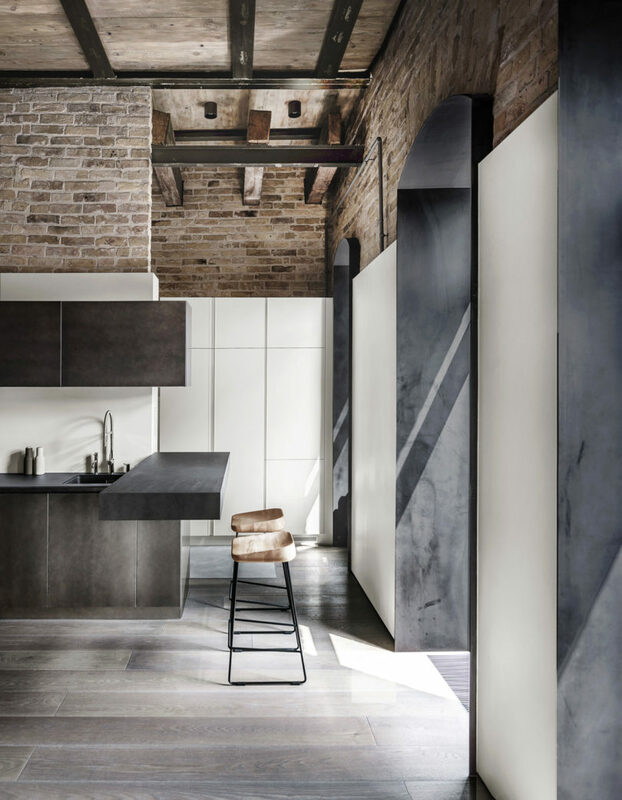 Skylights keep the strictly modern attic light and bright despite the darker colors on the walls. 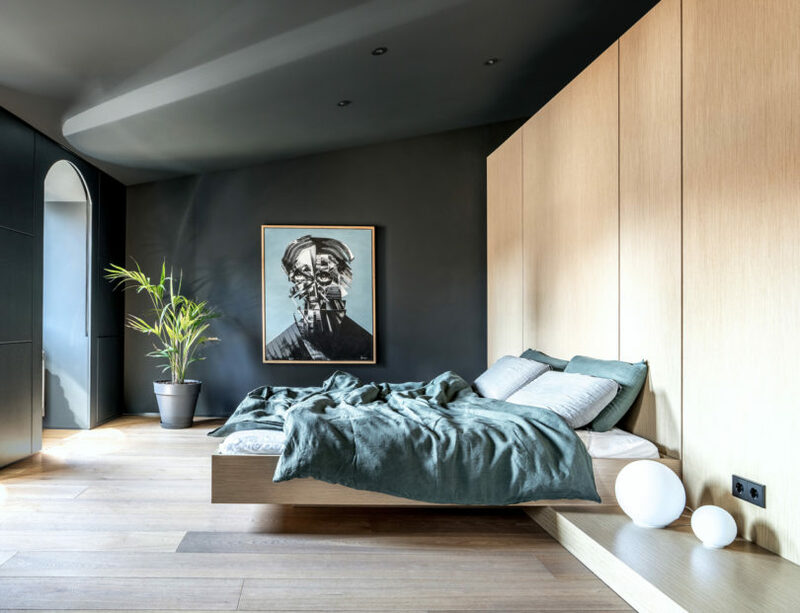 Photos by Andrey Bezuglov and Yevhenii Avramenko.